Here are unique videos of the truly transformational power of music. They prove that music is life-changing, regardless of the musician's technical level of expertise, age, economic status, performance venue, or even the 'quality' of their instrument! "The world sends us garbage... We send back music." Cateura, Paraguay is a town built on top of a landfill. Garbage collectors browse the trash for sell-able goods, and children are often at risk of getting involved with drugs and gangs. When music teacher Fabio set up a music program for the kids of Cateura, they soon had more students than instruments. The Singing Nurse. Easing pain and providing comfort with a simple song. There are many places for students to try their skills! 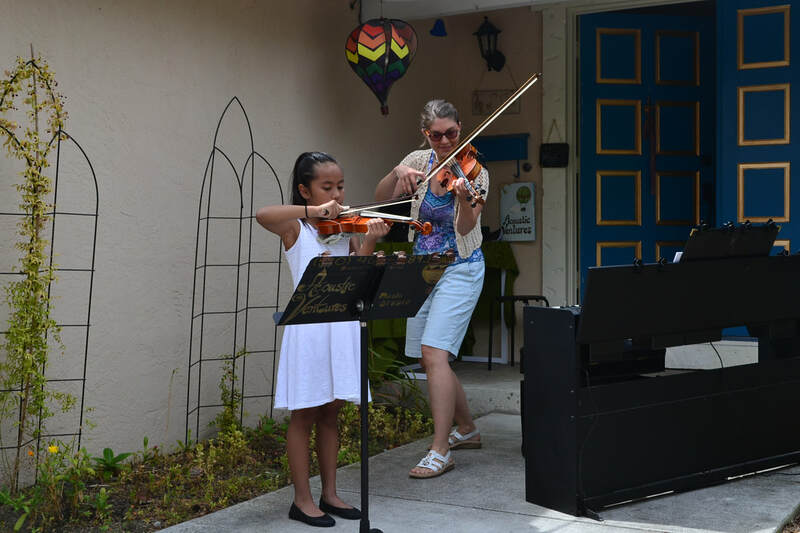 It's important to perform, as a celebration of all the students' hard work, to share the music they've learned, and to gain experience about continuing to play even through performance jitters. Students can perform at school, faith-centers, community events, and - of course - at recitals! Here are some videos generously shared by students' family and friends. Video Credits go to Mr. Antoni Arockiasamy. Thanks so much for sharing your awesome captures!